We've been loving the lilac hair color trend. 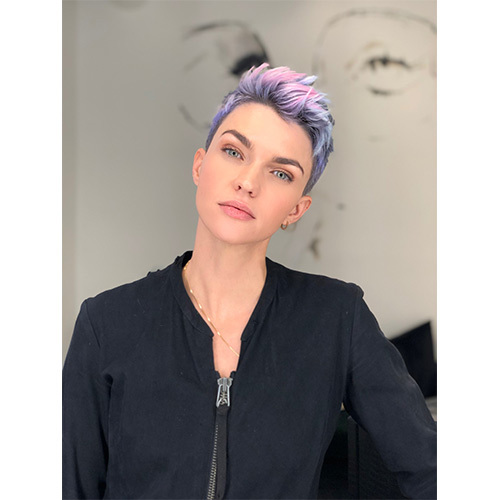 But this week, hair colorist Riawna Capri put a twist on purple haze hair on Ruby Rose. “I created a violet moon color for Ruby a few weeks ago. It was easy to achieve because I had just bleached her hair blonde. This time, we wanted to take it a step further with Rubicorn!" I wanted to go beyond the traditional blonde or brunette for Ruby, we wanted to have fun with her color! "To channel Ruby’s inner unicorn, I added lilac/lavender on the bottom and top roots, tipped it out with diluted sapphire blue and soft pink for the front piece to make her color truly unique," Riawna says, owner of Nine Zero One Salon in West Hollywood. "Pastels like lilac will only take to super blonde hair. Make sure your hair is healthy before bleaching it. 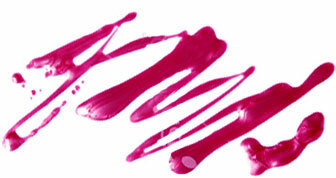 It may take more than one appointment to slowly bring your hair to this pastel trend,” adds Riawna.